Professor Manoug Manougian has dreamed of space exploration ever since he was a child growing up in the West Bank in the 1940s. 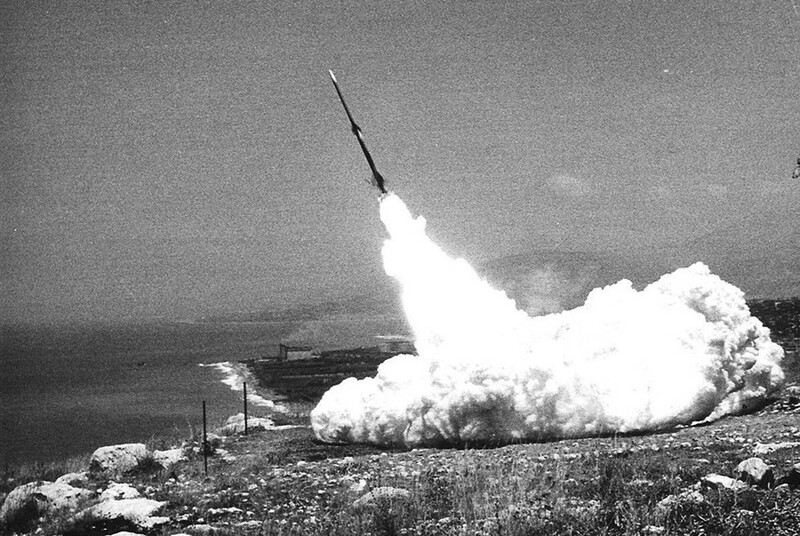 The Florida-based academic holds an intriguing position in the history of the space race. In 1960, as a 25-year-old maths and physics teacher at Beirut's Haigazian College, he founded an amateur student project to build and launch rockets, which they fashioned out of bits of cardboard and pipe, and powered with home-mixed chemical propellant. 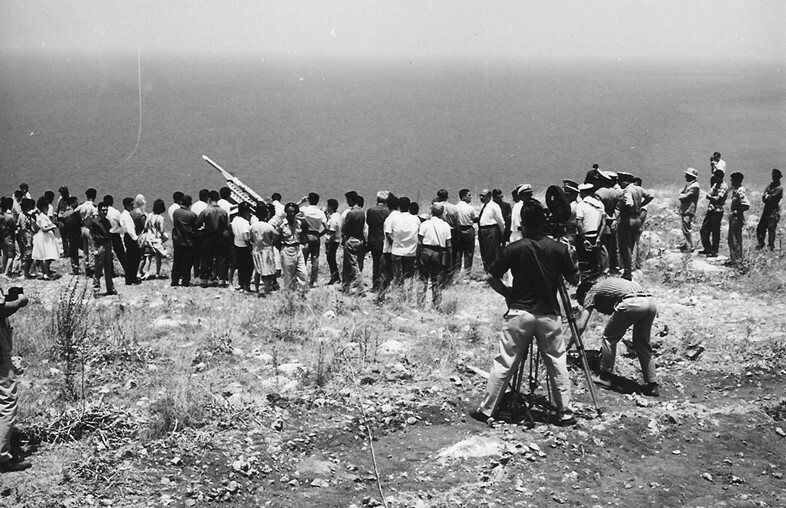 Two years later, after gaining the help of an army ballistics expert, the support of the Lebanese President and funds from the Ministry of Education, Manougian's plucky after-school club became the Lebanese Rocket Society, successfully launching a series of multi-stage rockets to ever-higher altitudes, three of which reached the thermosphere. Their efforts attracted regular media coverage and in 1964, Cedar IV, a majestic, several-metre long needle that was blasted 145km into the sky a year previously, even graced a postage stamp. But by 1967, the project was halted, the society disbanded, and very little was heard again of their pioneering work, with much of the documentation relating to it lost or destroyed during the Lebanese Civil War. Artist duo Joana Hadjithomas and Khalil Joreige, whose lyrical film and video work often engages with lost or submerged histories, discovered the society by chance after seeing an image of the commemorative stamp in a book. This serendipitous event sparked years of research and an eventual documentary, The Lebanese Rocket Society (2012 – see trailer above), an illuminating document to a lost period in time, and a poem to what might have been. In an animated fantasy sequence at the end, the artists picture a futuristic country transformed, safeguarded and enriched by the imagined advances of the rocket society. In reality, a combination of military intrigue and international pressure derailed the project. "By 1965, I realised that the Lebanese military’s interest had changed from scientific research for peaceful exploration of space, to rockets as an instrument of war," writes Manougian from Tampa, where he is Professor & Director of the STEM Education Center at the University of South Florida. 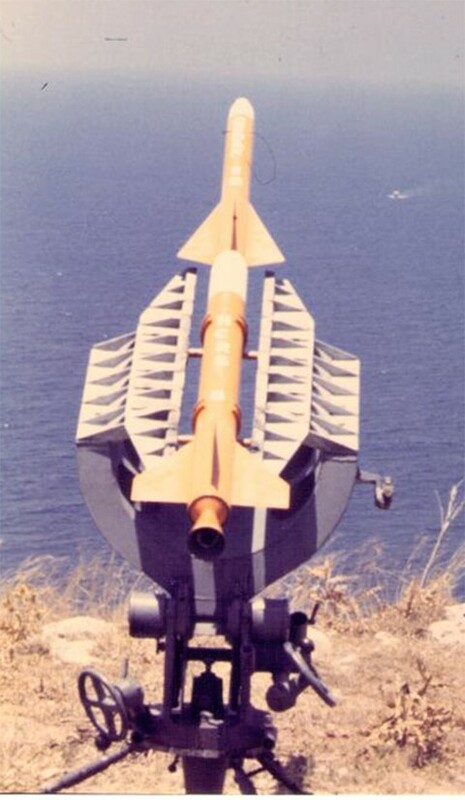 This was in addition to a couple of serious setbacks: a fire caused by an experiment with the chemical propellant, in which two students were badly injured, and one of the rockets almost hitting a British destroyer in the Mediterranean. Manougian, a committed scientist and pacifist, also found himself increasingly courted and surveilled by shadowy agents. With the Six-Day War just around the corner, he moved to the US with his wife to pursue post-graduate studies and the rocket society fell into the hands of the military. They launched one more rocket before the project was stopped, reportedly due to pressure from the French, US and UK governments. While the film wonders in the abstract how history might have turned out if the rocket society had been allowed to continue in its pure, original spirit, Manougian's more concrete plans involved sending a mouse into the thermosphere and building and launching a satellite. The former plan was scuppered at the time by his wife, an animal-lover, but the latter is a dream the 81-year-old still hopes to achieve. As mentor of his university's prize-winning Society of Aeronautics and Rocketry, he is helping students do exactly that. Manougian has few regrets, happy with the incredible achievements the Rocket Society made in such a short space of time, in a fractious political climate and in a tiny country with limited resources. "What my students and I did then, no student organisation has matched. More importantly, most members of the LRS went on to become successful scientists," he proudly states. And while Earth-bound concerns prematurely ended the project, Manougian's imagination continues to incline skywards. "One cannot understand the meaning of life if one doesn’t understand what space is all about," he says.